You know the drill. Dreary two hour meetings you can’t wait to escape. Emails that go on forever without getting to the point. Another invite to a meeting with no clear purpose. Admit it: work can sometimes feel like a formidable opponent -- the one thing standing between you and your action-packed weekends. So today, we're introducing the Levity Algorithm in Google Apps. Created in partnership with legendary improv comedians from Chicago's Second City Communications, the Levity Algorithm is carefully tuned to help you spice up even the most boring of work days. Send happier emails, hold more engaging meetings, write more mind-blowing presentations -- and above all, turn those frowns upside down. Editor's note: From the founding of Faneuil Hall in 1740 to the opening of Franklin Southie in 2008, Boston’s businesses have embodied an enterprising and entrepreneurial spirit. Today, we’re wicked excited to hear from Tim Luckow, founder of Boston-based GHouse, a record label, management and promotion company. See what other organizations that have gone Google have to say. One of the most enduring critiques of the record industry is, as Q-Tip rhymed in 1991, "Industry Rule No. 4,080: Record company people are shady." While some things have improved since then, there are still plenty of ways the industry could be better. I started GHouse, a Boston-based music label, management and booking agency, to make that change happen. Transparency reigns supreme at GHouse: we’re dedicated to showing our artists what happens behind the scenes on the business side so they can focus on their music. We want them to know exactly how much they’re making from digital sales, how many people are streaming their songs online and what each venue contract really means. It’s good both for the artists and for us: we’ve doubled our profits quarter-over-quarter since the start of 2012. Google Apps makes that transparency - and the vision I have for my business - possible. The foundation of this clear communication sits in Google Sheets. We create, share and constantly update a spreadsheet for each of our artists that tracks performance across multiple channels, from the number of times their songs are live-streamed on certain sites to how many tickets they’re selling for upcoming shows. That way, the band can hop into the spreadsheet at any given time and know how much they can expect in royalties and sales. As we’ve grown, so has the geographic distribution of our bands. Thanks to Google+ Hangouts, it feels like we’re still in the same neighborhood. Instead of having to venture down the Eastern seaboard on a bus each week, we’ll catch up with them over video conferencing. That’s eight hours I spend focusing on my business rather than commuting along I-95. Most importantly, Google Apps has helped me prove the legitimacy of the business side of GHouse to the investors, who are an increasingly essential part of the company’s future. I track everything about the business in Sheets, including quarterly distribution and tour numbers, divided by artists and labels. The investors I’ve shared these with love how all this information is centrally located, impeccably organized, updated in real-time and accessible to the team at any time, from any device. Google Apps is truly the core of my business. It’s helped GHouse function as a company for four years without an office, whether we’re updating our artists’ performance spreadsheets over lattes at a coffee shop or doing last minute planning for a SXSW showcase in Austin. I’m able to run a record label like I think it should be run. To me, that’s real success. Editors Note: Our guest blogger this week leads the security efforts for the San Francisco 49ers. See how the security team uses Google Maps Coordinate as a way to more effectively manage pre-game logistics and protect one of San Francisco’s most beloved organizations. For the San Francisco 49ers, team communication is everything. From third down plays to stadium security, being able to get in touch with the right people at the right time is critical. As Director of Security, I’m responsible for helping the 49ers get to where they need to be, as quickly and as safely as possible. Google Maps Coordinate, a workforce management tool, helps us run a smooth, safe operation behind the scenes, so our players, coaches and staff can focus on the game. Our team relies on the Google Maps Coordinate mobile app to manage pre-game logistics. The app lets me use my phone to send accurate information to staff in a simple, straightforward way. When we’re on the road and one of the players needs a ride back from the workout facility to the hotel, Maps Coordinate shows me which of my drivers is available and nearby to complete the transportation task. Moreover, it provides a visual communication tool, showing the real-time location of our security team on a Google Map. Using Google Maps Coordinate, I can easily assign or reassign jobs to team members, anytime, anywhere. When one of our team members accepts, checks-in or completes a task, I can immediately see details of the job and its status. This complements our existing radio network, saving airtime and providing an alternative way to relay information, give instructions or find out where people are. While preparing for the biggest game of the year, Google Maps Coordinate provided us with the foundation for establishing a 24/7 control center in New Orleans. Within a two-week period, approximately 150 jobs were created to manage pre-game logistics of our designated security escorts. This enabled us to safely transport our players, coaches and staff to various locations across the city. Additionally, the familiarity and accuracy of Google Maps allowed our team to more efficiently maneuver in high-traffic and unknown areas. NFL game days are a bit more intense for me than the average 49ers fan. But using Google Maps Coordinate lets me and the team focus on what really matters - another winning season. Editor's note: From the founding of Faneuil Hall in 1740 to the opening of Franklin Southie in 2008, Boston’s businesses have embodied an enterprising and entrepreneurial spirit. Today, we’re wicked excited to hear from Aimee Anderson, Vice President of Business Development at Daily Grommet, a Boston-based online marketplace for new, innovative consumer products. See what other companies that have gone Google have to say. At Daily Grommet, we love finding the next new thing. Since we started in 2008, our site has launched more than 1,500 products from companies with innovative consumer product ideas, including luggage, solar-powered lights, funky watches, headphones and skin care products. We’re a fast-moving company that embraces the entrepreneurial spirit, both in our own culture and in the products we help go to market. Building a business around a steady stream of product launches demands a strong technology platform that enables quick and constant collaboration for a team that works all sorts of hours from all over the country. Our office is in Boston, but we have remote workers in Colorado, California and Minnesota, and people often work from home or on the road. Whether it’s catching up on a project using Google Chat, firing off an email or collaborating in real-time with co-workers using Google Docs and Google Sheets, our employees are connected wherever they are. Our marketing team has even completely dumped wired phones and relies entirely on Google+ Hangouts. They may be dispersed geographically, but with video conferencing, they feel like they’re all in a room together. While Google+ keeps us connected, Google Sheets drives our product launch cycle. We launch something new each day at noon, so getting each product ready to go live is an intense process that requires significant coordination and collaboration across multiple teams. Every ounce of information about all of our product lines is held in a shared spreadsheet, from purchase orders to contact information, manufacturing details to photos and videos. Each spreadsheet is shared with the discovery, marketing and development teams and gets updated as every product moves through the process to launch. Releasing a new product takes a lot of coordination and our teams need to know the information they're working with is up to date and can be accessed anywhere by anyone. With Sheets, that’s never a question. Finding the next new thing requires a technology backbone that lets us be nimble, fast, and always connected. Google Apps does just that. Right now, we’re celebrating National Craft Month by highlighting more than 30 cool pieces of jewelry, food, crafts tools and other amazing things our partners create. Google Apps helps us make good on our commitment to the companies we work with by giving them a springboard to build their business. That’s a commitment we take seriously and are proud to uphold. Editor's note: From the founding of Faneuil Hall in 1740 to the opening of Franklin Southie in 2008, Boston’s businesses have embodied an enterprising and entrepreneurial spirit. When we looked at several recent lists of the top startups in the Boston area - from Bostinno, Quora and the Boston Business Journal - we were pleased to discover that about 75% of these companies are running on Apps. Today, we’re wicked excited to hear from Mike Volpe, CMO of HubSpot, the industry leader in inbound marketing software and one of those top startups. See what other organizations that have gone Google have to say. Back in 2006, two MIT alumni decided there had to be a better way to do marketing. Dharmesh Shah and Brian Halligan knew that loud, interruptive and unwanted advertising wasn’t the way to help businesses attract customers, not to mention that new technology like caller ID and spam filters was simultaneously rendering those legacy efforts less effective. So they started HubSpot, and with it, a new paradigm that would be better for both marketers and customers, replacing loud, interruptive advertising with marketing consumers actually love. HubSpot has grown to 450 employees since launching in 2006, and along the way, we've settled on a core mantra when it comes to how we work: “use good judgment.” We don’t tell employees where they have to work or when they have to be here - we care most about results. It’s imperative, then, that we leverage enterprise tools that make work easy and accessible anytime and anywhere. That’s why we use Google Apps. It lets us work together whether we’re at our desks or halfway around the world. That, combined with the fact that it grows with us and is simple to use, makes it the perfect solution for our company. Our employees use Google Apps every day on nearly every aspect of our business. With Docs, Sheets and Slides, we’re able to collaborate on our most important documents with our colleagues, no matter where we are. We can store all our files in one place with Drive, so each team knows they can find their templates and notes whether they’re sitting down with their laptops or traveling with their smartphones. And Google Forms makes tracking executive speaking requests simple and seamless. Any time an organization wants a HubSpot expert to talk at an event, we send them a form with a set of standard questions, and the information they submit about the opportunity is automatically populated into a spreadsheet that houses all other requests. It's perfectly efficient. Google Calendar helps us stay transparent, which we consider essential to empowering our employees. Many of our executives book office hours on Google Calendar and share them with our company. Any employee at any level can sign up for an hour with them, where they can bring up anything from product development ideas to problems they’re having at work. Working for a fast-moving company isn’t easy, but with Google Apps, we’re not burdened by the hassles that can otherwise grind busy days to a halt without a strong technology platform. We don’t have to deal with attachments, version history screwups, email outages or fussing around with our phones to get our email to sync. We open up Google Apps and it works. It’s the same experience we offer with our software – simple, effective and lovable. Editor's note: Today’s guest blogger is Franck Barlemont, Director of Information Systems at Prisma Media, the second largest magazine publisher in France. See what other organizations that have gone Google have to say. Prisma Media is a French magazine publisher with approximately 20 titles in subjects such as photography, art and travel. From how to take the best photos to how to properly cook a souffle, our titles, including National Geographic, Female Current and Current Kitchen, have been informing and entertaining readers for years. As Director of Information Systems at Prisma Media, it’s my job to keep a finger on the pulse of how our employees are using technology. Just as the publishing industry has had sweeping changes the past few years, so too has the way our employees use technology. Last year, I discovered a few enterprising employees who were forgoing our hosted corporate email system in favor of Gmail. They had reached the limit of their email storage and needed a way to stay productive. Traditionally, bringing outside, unsupported technology into the workplace is fraught with concerns around security, lack of manageability and control. Other companies might have quickly revoked access to Gmail for the employees in question and reminded them of the standard company policy when it comes to using unsupported technology at work. Instead, we chose to look at this as an opportunity and reevaluated our technology environment. We decided to go with Google Apps for Business for a number of reasons. First, Apps requires much less support than our previous solution. Simply by going Google, we cut our IT support calls by approximately 30 percent, which saved us money and freed up our IT department for other tasks. The second reason was cost. By switching to Google we cut our email costs by approximately one-third, which is a lot, especially when you consider we’re getting access to a much better, more modern product. Lastly, the switch itself was seamless. By working with Google Apps Reseller GPartner, we were able to continue to manage and run our business without missing a beat, while GPartner handled the switch in approximately 45 days. Google Apps gives us a more modern, robust and flexible platform at a third of the cost and frees up our tech support resources. It also allows us to do what’s most important: focus on our business. The only drawback is I wish we would have made the move sooner. Today we’ve added some new capabilities to Google BigQuery that will give your business new ways to work effectively with large amounts of data. With these capabilities, you will now be able to join and perform aggregate analysis on multi-terabyte datasets using SQL-like queries or integrated 3rd party tools, instead of having to initiate complex coding projects. Editor's note: Our guest blogger this week is Jakub Zablocki, chairman of X-Trade Brokers, a brokerage firm founded in Poland in 2002 with locations in more than ten countries in Europe. X-Trade Brokers (XTB) is a European brokerage house specializing in financial instruments traded over both the over-the-counter market and major stock exchange. See what other organizations that have gone Google have to say. At X-Trade Brokers (XTB), our goal is to give our customers the information they need to make sound financial decisions. Like many industries, technology is playing a bigger role in our industry. We pride ourselves on being technologically advanced for our customers. It’s what they demand, whether its a robust online trading platform, a vibrant mobile ecosystem or the latest, up-to-the second update on a stock price. Now, we’ve decided to run our business on Google Apps. We chose Google Apps because we noticed a gap: we were providing our customers with the latest, most cutting edge technologies to manage their money we weren't doing the same for hundreds of our employees. Our previous solution, Microsoft Outlook, was an on-premise solution. It became too difficult to run a modern, fast-paced brokerage firm on yesterday’s technology - we weren’t providing the tools that our employees needed to keep up. With Google Apps, our employees will have access to information anytime, anywhere from any connected device, allowing them to work how and from where they please. Tools like Google Sites and Google Drive will give our employees the most modern tools available so they can serve our clients in the most efficient way possible. Google Apps offers a suite of tools we didn’t have access to before. Being in a highly regulated industry means we have to take extra precautions to ensure we save and store sensitive employee information such as email and chat records. On other platforms, this is cumbersome and requires a lot of work on both the IT side and employee side. With Google Apps Vault, that happens in the background, giving us both an enterprise-class way to store our most important information as well as a solution that doesn't get in the way. Our IT department is really looking forward to not having to store and manage this data. Many of our employees have grown up with the web and were already familiar with tools such as Gmail and Google Calendar which will make the transition seamless. In the financial services industry, speed is everything -- trading on information that’s even five minutes old can result in a risky investment. Our customers demand real-time information so they can make some of the most important decisions in their lives. With our previous technology solution, I always felt as if we were making a bet on old information but now, with the help of Google, our stock is at an all-time high. Editor's note: Our guest blogger is Khushnud Irani, Chief Information Officer at Holcim, one of the world’s leading suppliers of cement and aggregates with over 78,000 employees worldwide. See what other organizations that have gone Google have to say. 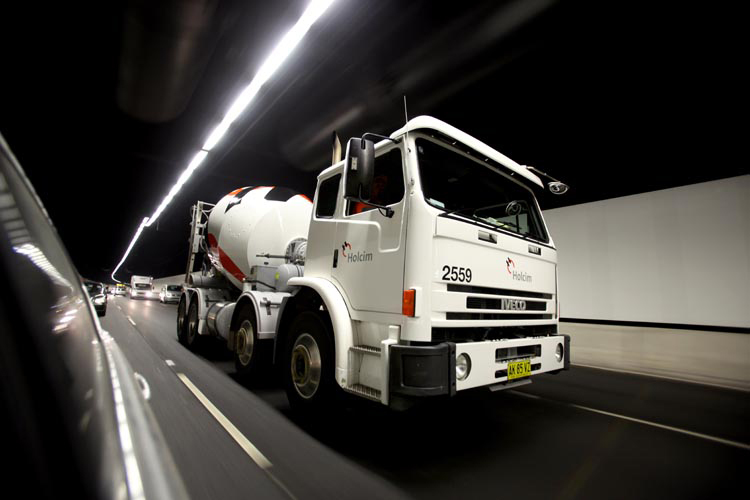 Founded in Switzerland in 1912, Holcim has become one of the world's leading suppliers of cement and aggregates. The Group also supplies ready-mix concrete and asphalt, and provides related services. We have production sites in about 70 countries on every continent - we’re more spread out globally than any other building materials group. This business and geographical diversity gives us many advantages, but it also means that cross-functional and cross-regional communication and collaboration can be challenging. To meet this challenge and to unify the many such platforms in use across the Group, Holcim’s Executive Committee decided to roll-out Google Apps worldwide to our 40,000 IT users. We chose Google Apps because it will help us concentrate on our core businesses, and bring our employees, customers and partners across the globe closer together. The introduction of Google Apps in our company over the coming years is aligned with the goals of the Holcim Leadership Journey, an initiative to promote customer excellence, increase operational efficiency and develop talent. Collaboration and the global spread of experiences and expertise will be easier, faster, and more efficient, in real-time and from anywhere via mobile and desktop devices. Over time, we believe Google Apps will help to create stronger relationships with customers, suppliers and other business partners by directly involving them in online discussions, idea exchange and project work. Also, the innovative and interactive electronic workspaces Google Apps provides will help Holcim attract future generations of young talents to the Group. In addition to the suite of communications and collaboration, we are going to set up three other Google Enterprise solutions: Google Search Appliance, Google App Engine, and Google Apps Vault, an add-on for Google Apps, which will help manage and archive all email data. With the introduction of Google Enterprise products, we are embracing modern cloud-based delivery models that ease the technical complexities of internal operations. Such a model takes away the technical complexities of internal operations and instead allows IT personnel to focus on closer involvement with their business counterparts in creating deeper business value. The roll-out of Google Apps to Holcim Group companies will start in the summer of 2013. Google Apps will enable better collaboration and drive innovation around the world. We are excited to embark on this cultural change that will allow our employees to bring the tools they know and use in their personal lives into the workplace on Google Apps. Editor's note: Boston’s changed a bit since Paul Revere set out on his famous midnight horseback ride in 1775. 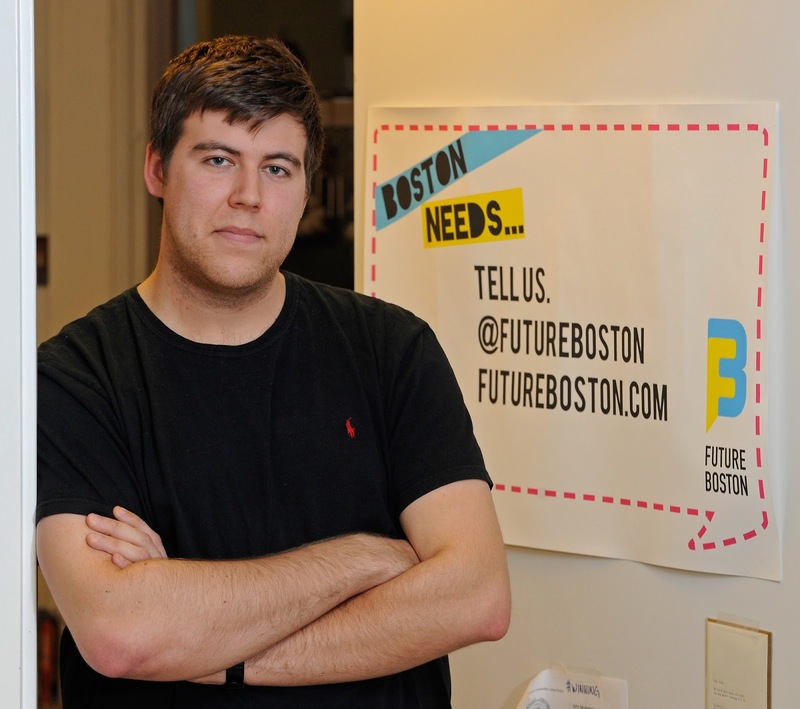 Belichick and Brady hadn’t met yet, the curse of the Big Bambino had yet to be cast (then broken), and Ben and Matt hadn’t won an Oscar for “Good Will Hunting.” But one thing has stayed the same in Boston over time: the city has been driven and defined by self-starters and homegrown businesses. We’re wicked excited to highlight a few Boston businesses using Google Apps over the next few weeks. Today, we’ll hear from Kristin Phelan, Marketing Director at Faneuil Hall Marketplace, a historic Boston landmark. See what other organizations that have gone Google have to say. It’s not every day that you get to work in the same spot where Samuel Adams brought Bostonians together on the eve of the Boston Tea Party or where George Washington toasted the United States of America on its first birthday. 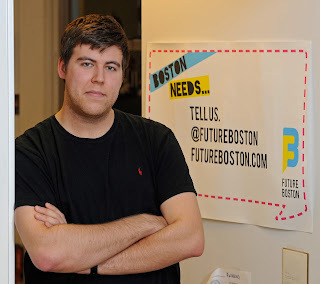 As the Marketing Director at Faneuil Hall Marketplace, I help carry the legacy of America’s first marketplace forward. Faneuil Hall is entrenched in its rich past, but part of my job is to make sure it also stays modern. We’ve recently started adding programs that reflect a new, more innovative and independent spirit: on top of the bustling retail space we’re historically known for, we’ve also hosted local musicians, NBC’s The Today Show, an LED light and sound show, pilates bootcamps and the Urban RAID obstacle course race. And each new day brings another new idea. Coordinating all these activities requires a lot of communication and organization. It also requires a reliable technology platform - something we didn’t have until we moved to Google Apps last year. I remember the night I knew we had to switch. I was working late on a project, when all of the sudden I got a notification that my mailbox was full. I’d been using Gmail for my personal email and knew it would be a better solution for our team not only for storage, but for the rest of the tools in the suite. Getting Apps up and running was a snap. I’m no IT expert, but setting the team up with email and teaching them how to use Calendar, Drive and Docs was simple. In our first week, we set up a shared calendar to track our street performers, visiting artists, and events, so now everyone can see what's going on and when. Apps doesn’t just help us stay organized – it also helps us work better together when we’re away from our desks. Just a few weeks ago, I was doing an on-site walk-through for an upcoming mural when a reporter called looking for pictures for an upcoming article. I jumped on my phone, opened the Drive app, and with just a few clicks, gave her access to the photo folder I had created for press inquiries. I may not be an American Revolutionary, but I still get to help bring millions of people together at one of the country’s most revered landmarks. And thanks to Google Apps, we have the tools to keep our 271-year-old building in the 21st century. 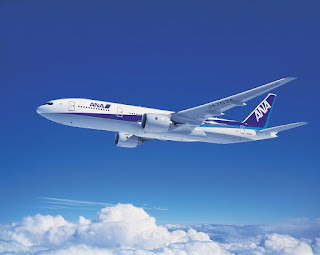 Editor's note: Today’s guest blogger is Mr. Aramaki, Director of Innovation, All Nippon Airways (ANA) Japan. See what other organizations that have gone Google have to say. As Japan’s largest airline, operating around 1,000 flights per day, we know a thing or two about clouds. Today we’re delighted to announce that we’ll be embarking on a journey to a cloud of a very different kind — with Google’s cloud based tools Google Apps for Business — to communicate and collaborate more easily. Starting in April, all our 33,000 staff across 40 company divisions, from pilots and cabin attendants to HR and finance staff, will use Gmail, Google Drive and Google Talk. As a global business, we have people working all over the world. Now it doesn't matter if our staff are on tarmacs in Tokyo, offices in London, or on-the-go in the streets of Beijing, they’ll be able to communicate and collaborate in real time, using Google Docs, Google Sheets and Google Slides from their PCs, smartphones or tablets. As well as removing the barriers of distance, the move to Google Apps will also help us break down language barriers with Google Talk’s translation feature. Google Apps offers us the reliability and scalability we need. We coordinate flights for 2.7 million passengers to 81 local and international destinations every year, so it is critical we have a communication system that we can rely on. With Gmail we’ll not only have this reliability and scale, we’ll also no longer have to dedicate resources to maintaining and operating our email system as we can rely on Google’s infrastructure. 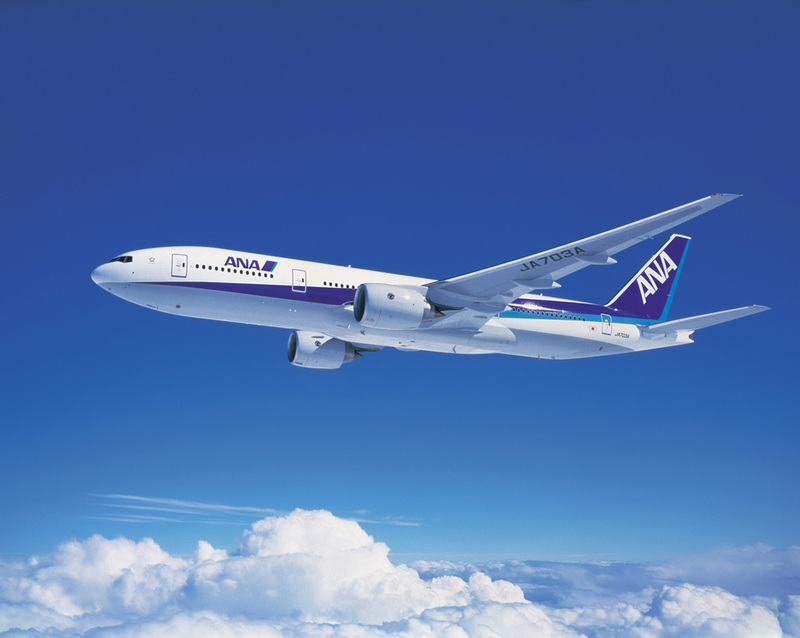 For over 60 years ANA has flown passengers around the world in comfort and safety. As we launch into our next decade were looking forward to smooth sailing into the cloud with Google Apps for Business and creating a more innovative, flexible and productive style of work.